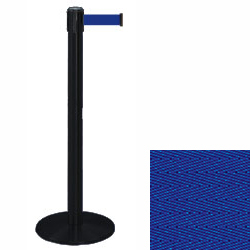 This stanchion system w/ blue rope represents the best of the best in the crowd control industry. 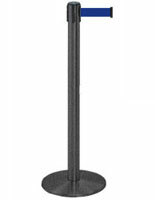 Place this retractible belt system in lobbies, restaurants, and the like for effective line queuing. 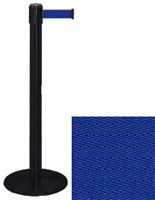 This stanchion system w/ blue rope is best when positioned no more than 7' apart. 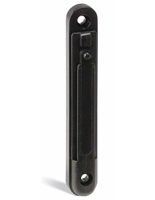 A black 38"h crowd control fixture with 7.5' blue rope is a great buy and has the reputation of Tensabarriers behind it. For your higher traffic areas, we recommend using Dual Belt Posts. Click now for layout options designing crowd control systems.